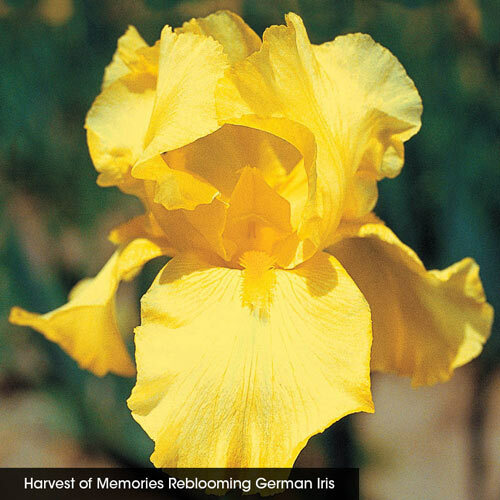 For many gardeners, the only drawback about iris season is that it is over too soon. 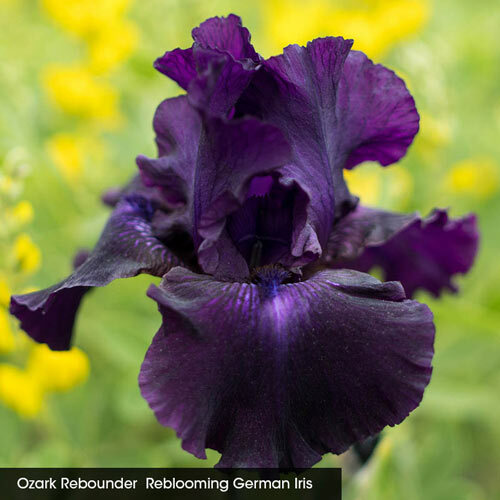 One of the greatest goals of iris hybridization is to create a more reliable rebloom. 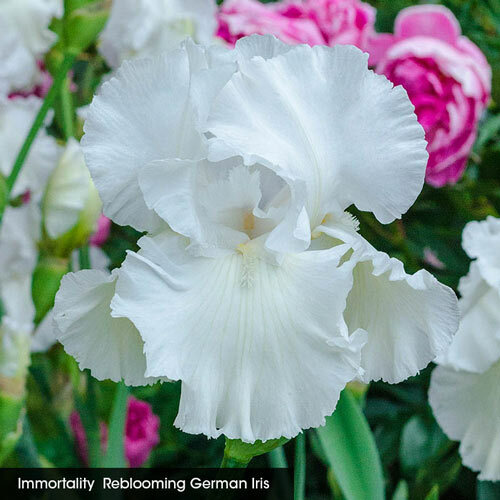 The most coveted varieties include those you can expect to see not only in spring, but again in late summer to fall--like the five varieties in our Reblooming Iris Collection. 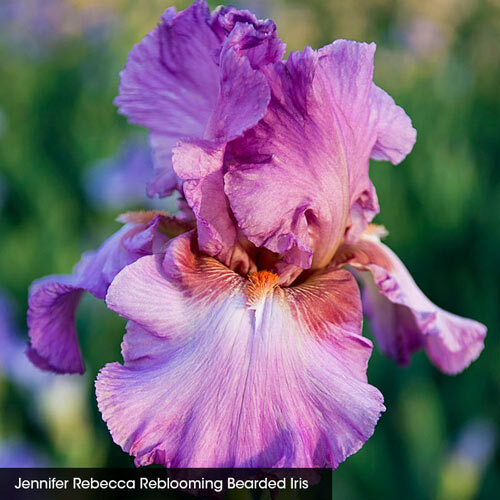 Create a dramatic scene in a perennial border brimming with large, magnificently ruffled, colorful blooms. 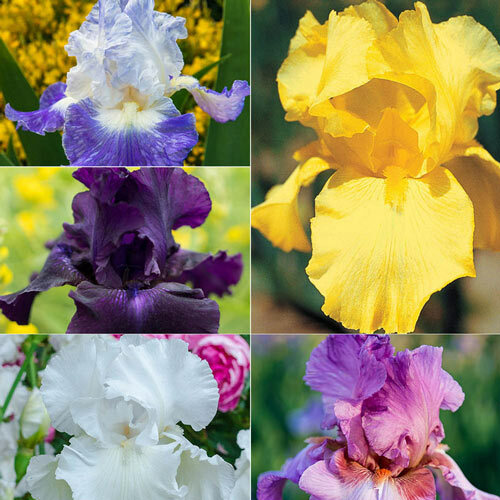 You can also use these iris as strong vertical accents in a drought-tolerant mixed planting. Then enjoy your neighbors' surprise and delight as the show begins again later in the season. Collection includes: Ozark Rebounder, Clarence, Jennifer Rebecca, Harvest of Memories and Immortality. 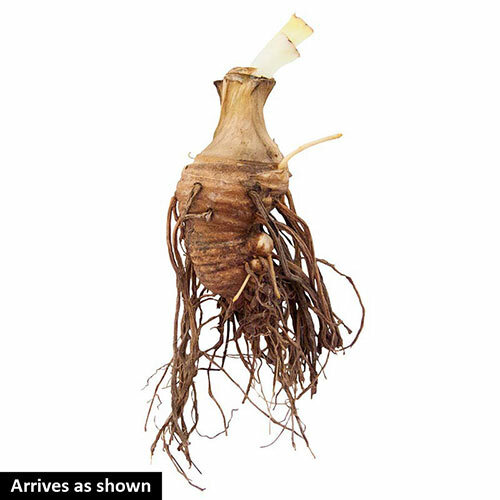 Planting InstructionsSet rhizome so bottom half is below ground level. Firm well and water thoroughly. Plant where they will get at least 5 hours of sun per day. Winter CareMulch in colder climates (2") and remove in early spring before growth starts. Flower FormFlowers are fan-shaped, with three drooping petals called falls and three upright petals called standards. ResistanceGood resistance to pests and disease, deer, rabbits. Soil RequirementWell drained preferred. Quite tolerant of a wide range of soils although. 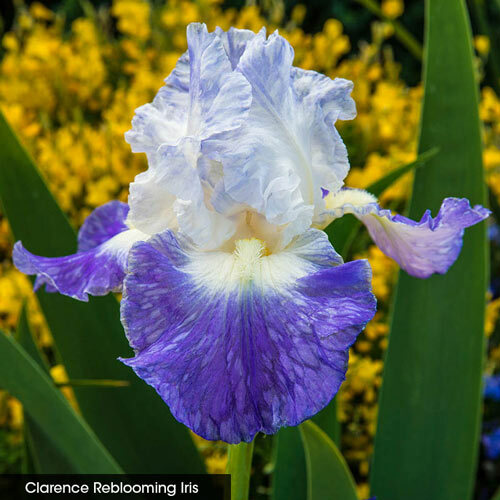 PruningRemove spent flower stems after blooming. In late fall, cut back foliage to 6" fans. Clean plant debris before winter to prevent borers overwintering. Additional InformationRoses prefer a thorough watering but do not like 'wet feet'. Water early in the day to avoid wet conditions into the night which can cause issues with fungus and disease. Unique CharactersticsCollection records: 456, 11063, 1396, 404 and 457.